After a long summer break, I am here back to blogging with a cool tool. 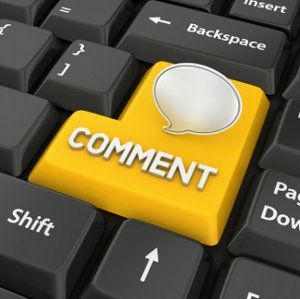 Comment Bubble is new web tool that lets you leave comments on videos collaboratively. After you sign up, you can upload your own videos or paste the link of a Youtube or a Vimeo link. Then you can change your video setting such as the title, description, visibility and most importantly, you can customize the 5 different comment buttons that you want your students to click on as they watch the video. When you are done, you can send the link to your students and wait for their responses. As the students watch the video, they can vote on the comment buttons, or they can leave comments by writing, recording their voices or filming themselves. The comments are automatically added to the thread.The students can also reply comments on each other’s comments. The all comments will be visible to everyone. If you are flipping your lessons,with this tool you can get feedback from your students and see if they have understood the lesson or not. Asking the students to click on the comment bubbles when they do not understand, can give us feedback on where students are not clear. Students can give peer feedback on each other’s video. As students watch the video, they can be asked to leave comments when they find and adjective, simile, metaphor. This tool can also be used for summative assessment all throughout the year. Students can ask questions on the things that they haven’t understood watching the video. This tool has the potential to boost and engage student involvement and this is a great tool for homework on teacher-led lessons.